Pioneers in the industry, we offer holi water balloon from India. 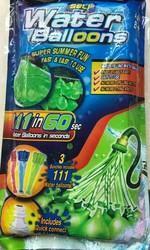 This holi water balloon are easy to fill and lock ,they fill fast with 111 balloon in 1 minute. Looking for Wishing Balloon ?